Access, Card, and Parking Services manages electronic key access through the HawkCard. Standard HawkCard access is assigned to students, faculty, staff, affiliates, and tenants upon issuance of their HawkCard in accordance with campus building operating hours. Requests for HawkCard access to additional areas should be directed to hawkcard@iit.edu by an administrator of the requested location. All requests are subject to review and approval. Additional area access requests will generally receive an initial response within (1) business day. 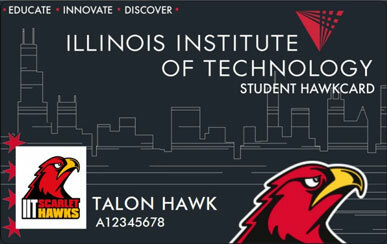 Requests for HawkCard access for extended hours should be directed to hawkcard@iit.edu by an administrator. Requests must include detailed information on why and how long extended hours are needed for the requested individual. All requests are subject to review and approval. within (1) business day. Extended hours access requests will generally receive an initial response within (1) business day. Recurring access issues for a specific location should be directed to hawkcard@iit.edu for resolution. Immediate concerns should be supplemented with a phone call to the ACaPS Office at 312.567.8968 during business hours and Illinois Tech Public Safety after hours at 312.808.6300.